62 size is currently out of stock. Men’s traditional dark grey jacket. 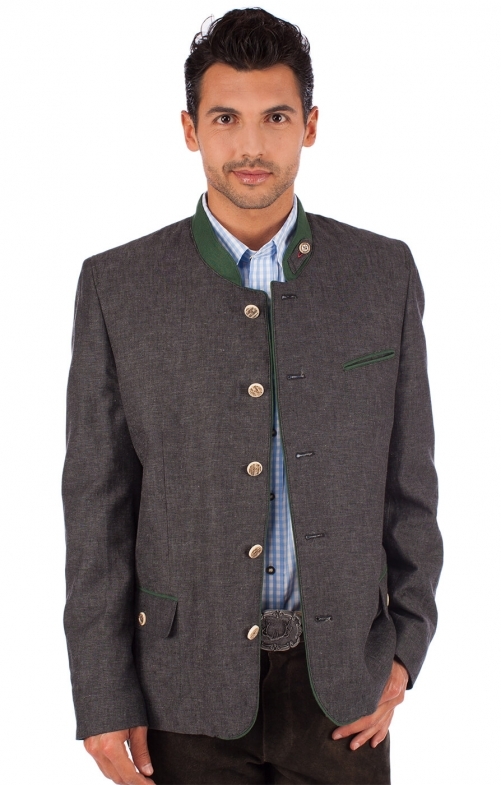 This dark grey jacket has been created in the traditional Bavarian style and will add a touch of class to any occasion, especially when it is worn to Oktoberfest. The jacket has been made from a blend of 60% cotton and 40% linen and boasts a bright green collar that matches the edging on the break and hip pockets. shr schön, doch leider zu klein. Preis nd Leistungsverhältnis war in Ordnung. Leider zu klein geschnitten.